Uploading footage and/or the edit is the final step of your job as an editor/shooter. You not only need to upload it to the proper place of the project page, but you also make sure to close out the associated Job. Below we have laid out the necessary steps so that you complete this step without any issues. If you would like a more in-depth explanation, read on below. After the shoot has been completed, click the main project page under 'Active Video Projects'. 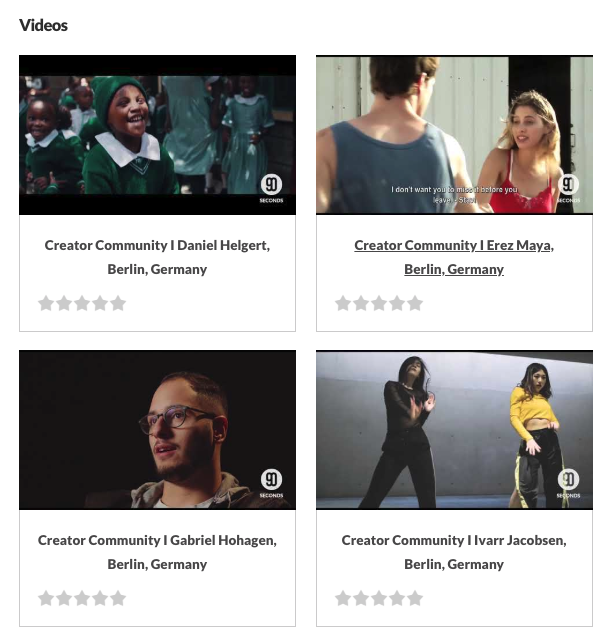 Upload all footage under the relevant shoot page. 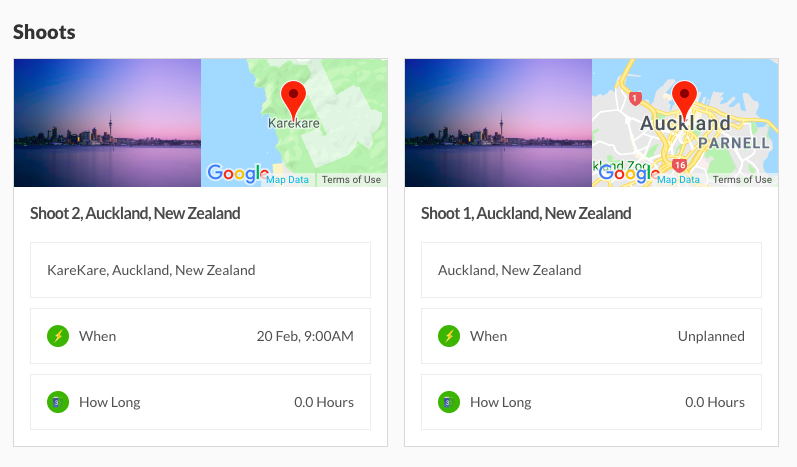 Example: Click Shoot 2, Auckland shoot page. 2. 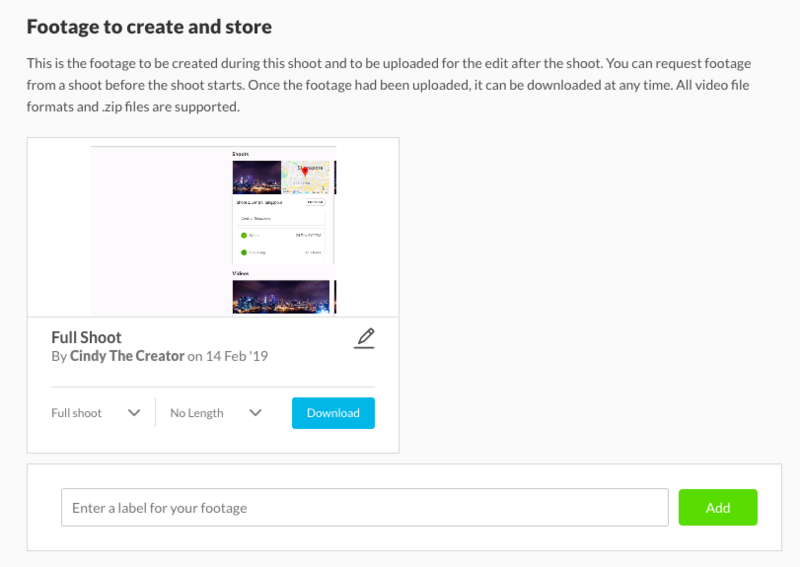 Under "Footage to create and store", enter a label for your footage. Click 'Add' to create a footage folder. 3. Once a folder has been made, simply drag and drop to upload all relevant video footage into the folder. After a video edit has been completed, click the main project page. Upload the video edit under the relevant video page. Example: Click on a video page. 2. Under "Uploads", click on the upload tab. 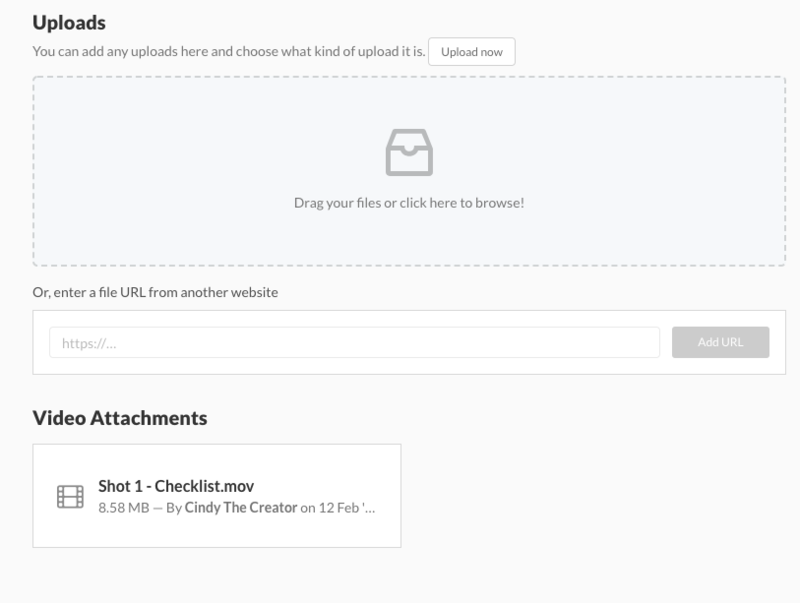 Select video edit files to upload or drag files to the upload tab to add them to upload queue. Alternately, enter a URL of file uploaded through a third party site. Do label your video edits in their respective versions. We also recommend that you drop a quick note to the brand to let them know that the materials submitted are complete. If you are uploading a lot of footage and/or file types, please upload a file manifest as a .xls spreadsheet. Lastly, we created a step-by-step guide that explains how to upload footage to the 90 Seconds platform as a Screen Walk Through Guide.